2019-04-15 - Adair County, KY - Photo by Linda Waggener, columbiamagazine.com. 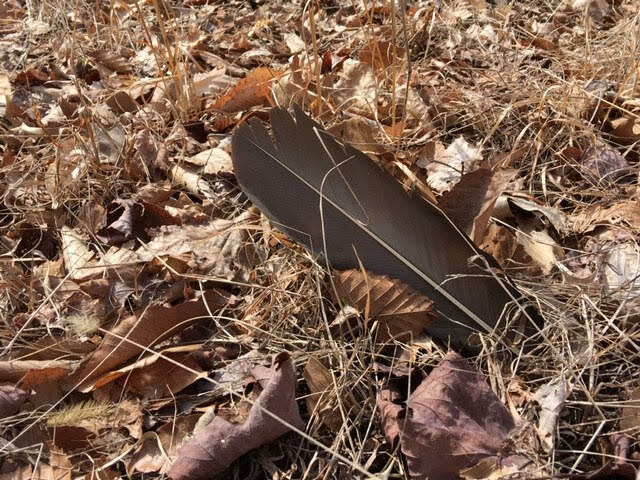 This feather was down, lost from its owner, waving in the wind, rearranging the landscape by Green River Lake. Would it be from a crow, maybe?